It has been blowing again fresh to strong south to south easterlies most of the week with a bit of swell around as well. I can’t wait for the cyclone season to pass! Sunday just gone was the only trip for the week and it was a cracker! A 3/4 day spent on murphy’s reef with glass out conditions from 9am. The fish were chewing too we had a mixed bag which included squire, spangled emperor, moses perch, pearl perch, kingfish, hussar, golden trevally, tea leaf trevally, sweetlips, tusk fish and morwong. We did get busted up a few times but no really big fish were boated however 55 fish made the esky look good. Looks like a good winter season coming up for reef fishing out off Mooloolaba. The good news is the weather is going to be quite good for the weekend. It will be a wait and see approach hopefully the south easterlys hold off for a while (fingers crossed). The photo below shows a 4kg spangled emperor which was probably the biggest fish of the day. 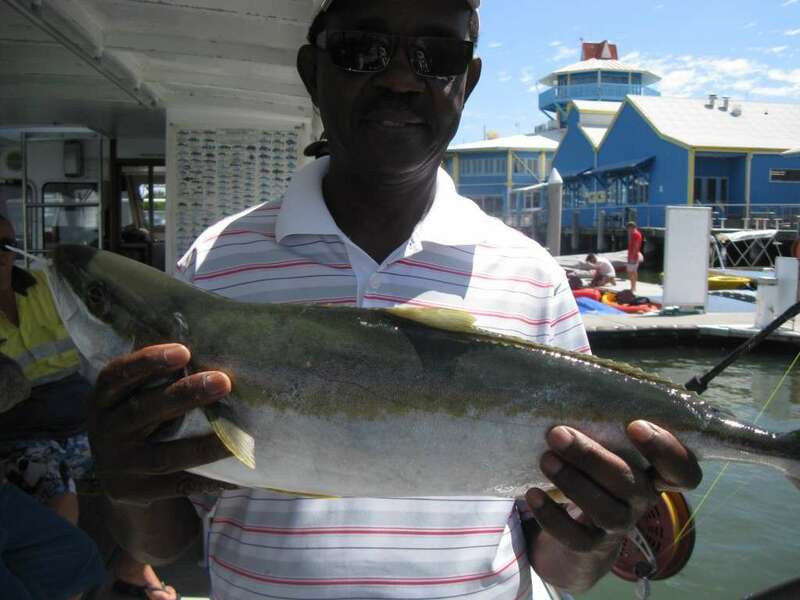 Below shows a king fish and these have been plentiful over the past 2 months on the gneerings and murphy’s reef. Most, like this one, are in the 60-75cm range but there is the odd one getting caught over a metre or about 6kg’s. First timer Charles thought this one fought plenty hard enough for him and was stoked when it came over the side of the boat. Well done mate! 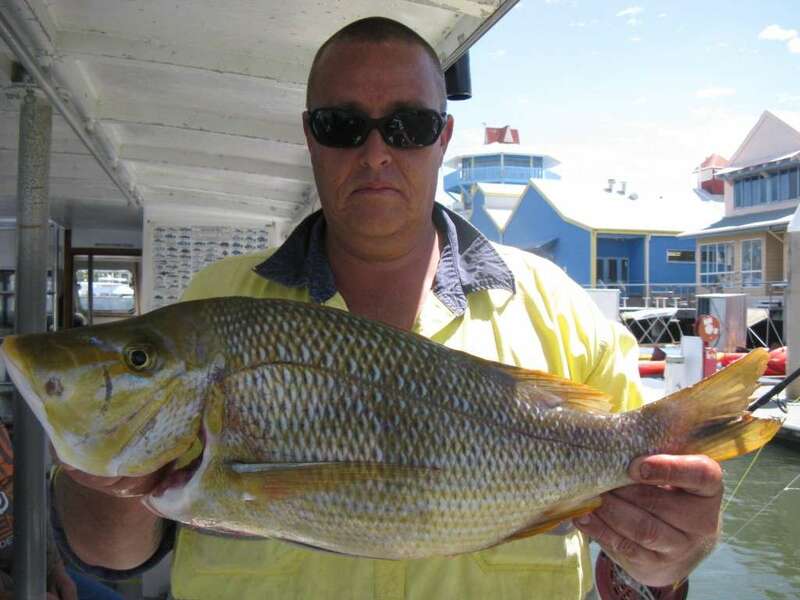 If you would like to wet a line with us please head over to our contacts page or give us a call on 0429 013 012. Until then happy hunting!! !